It's been said that more people in the United States have real estate licenses than drivers licenses! That's because it's a relatively easy profession to enter into, but a difficult one in which to make a living. 'Charley' began her real estate careers in 1973 and has been a full time Realtor continuously through the good (and not-so-good) markets. She grew up in Arizona, was licensed before graduation from Arizona State University, and was mentored by her dad. The discipline necessary to succeed in real estate became immediately evident, as mortgage interest rates were high and the average price of a home was only $17,500! Hard work and persistence, a commitment to ongoing education and diversification, and the implementation of creative and innovative marketing strategies, as well as a tireless and honest commitment to her clients, has resulted in an almost 39 year successful career. 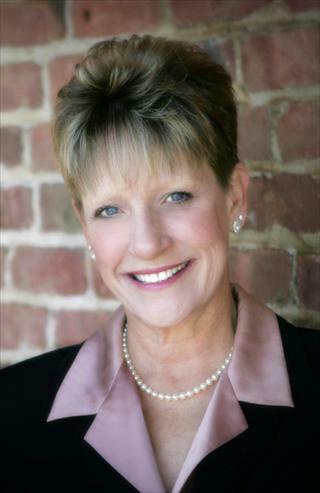 She has been recognized as one of Sacramento's foremost real estate professionals since 1986,when she was recruited by the prestigious Coker-Ewing Co. of Roseville. Her motto has always been that "People Don't Care What You Know Until They Know That You Care." Even today her former clients call for advice and refer their friends and family, Their own children, who are now marrying and purchasing homes, are calling "Auntie" 'Charley' for real estate help. She has also mentored over 200 new agents, many of whom consequently became successful in their own right. Recently named in top 1% of Northern California Realtors and winner of the P.R.O. Award (Peer-Recognized Outstanding) In Real Estate, 'Charley' continues to be one of the most respected real estate advisors in her field.